Selby narrowly fail to secure their Yorkshire 1 status after a shock win by Wheatley Hills over promotion chasing Beverley so their future will be decided at Sandhill Lane this Saturday against Moortown. 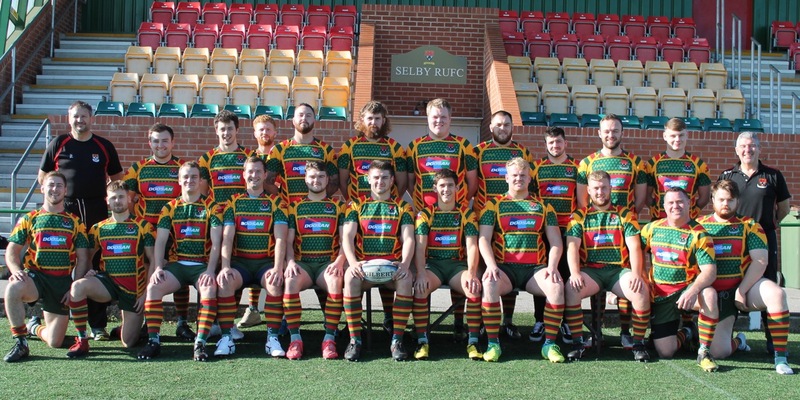 Selby narrowly failed to secure their place in Yorkshire One for next season despite a rousing fight back as they came back from 21-0 down to take the lead before falling at the last hurdle to a strong Hullensians side. The two losing bonus points garnered from this match would in themselves have been a credible outcome but an unexpected win for bottom placed Wheatley Hills against promotion chasing Beverley means that, for the third year running, everything is still in the mix and Selby must now win their last league match at home to Moortown on Saturday to guarantee safety from the drop. Showing several changes from last Saturday’s win, Selby started scrappily and with Hullensians looking much more competent a side than the one that visited Sandhill Lane recently they were soon under pressure - and an early try from the Humbersiders, as they strolled through some weak defending, looked ominous. Hullensians, in contrast, were defending strongly and with defence being the best form of attack they were being rewarded with plenty of possession as Selby pushed passes and gave away penalties until, again, pressure told and they went over again for another converted try. When Hullensians scored again five minutes before the break, swooping on a lost possession as Selby tried to run from deep, for a 21-0 score-line the chances for Selby to gain anything from the match looked bleak. However, showing a resilience not always apparent from earlier in the season, Selby didn’t give up and after a sustained forward assault on the opposition line, scrum half Danny Wilkinson, the smallest man on the pitch, forced his way over through a number of much larger defenders to spark hopes of a second half revival. Now playing against the slight breeze and slope, Selby continued to press and earned another three points from the boot of full back Scott Hunt before more great forward driving was rewarded as Charlie Cicero broke blind to feed the supporting Wilkinson for his and Selby’s second try. With Hullensians now themselves struggling to retain possession, Selby’s forwards marched straight back up to their try-line and after another sustained battering flanker Matthew Wood, having an outstanding match, forced his way over to reduce the lead to one point. Hunt’s conversion to take the lead fell short but no matter as Selby then produced the try of the season as the their backs combined superbly to run back a deep kick with a dazzling display of inter-passing before Wilkinson again was on hand to finish off the move under the posts for his hat-trick and a 21-27 lead with ten minutes to play. With Selby having made as improbable a recovery as Sergei Skripal, all that was required to obtain a full hospital discharge was to continue in the same vein but unfortunately the seemingly ingrained propensity to give the opposition a leg up then returned - as they lost cast iron possession from the base of a scrum in midfield and then gave away the penalty to enable Hullensians to kick to the corner. Almost inevitably they then forced their way over to retake the lead and then deep in injury time added another to seal the win. So, yet again, Selby go down to the wire in a league denouement, needing to beat Moortown in their last match to guarantee safety. Kick off is at 3pm and a large crowd is expected - and Selby and their support will be hoping that come the final whistle, their great turn around in fortunes since the New Year will have been completed.